I have fed Venus I and Love and You dog food in the past, and it was a great experience! It was actually back before Ocean passed away, and it was one food that both girls loved equally. I was thrilled to be able to offer Venus a treat from such an amazing and quality brand. 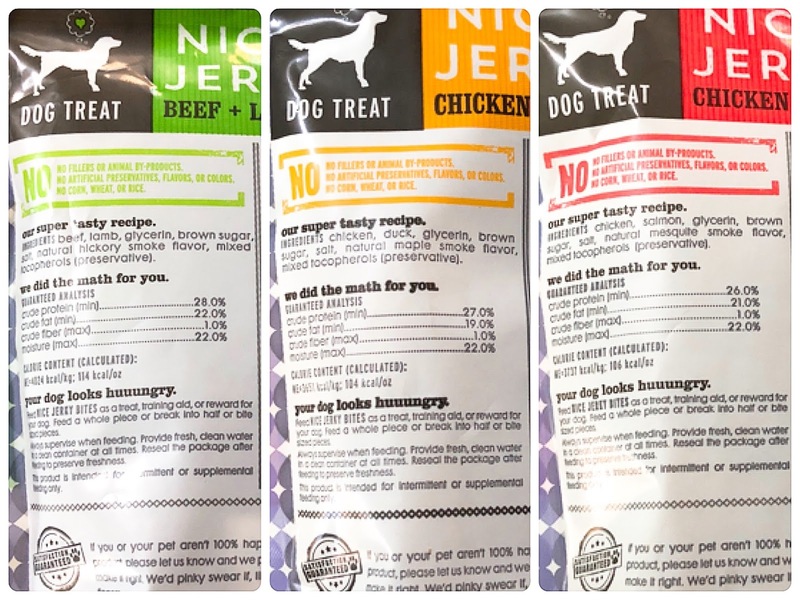 We received three flavors of the Nice Jerky Bites: Beef + Lamb, Chicken + Duck, and Chicken + Salmon. 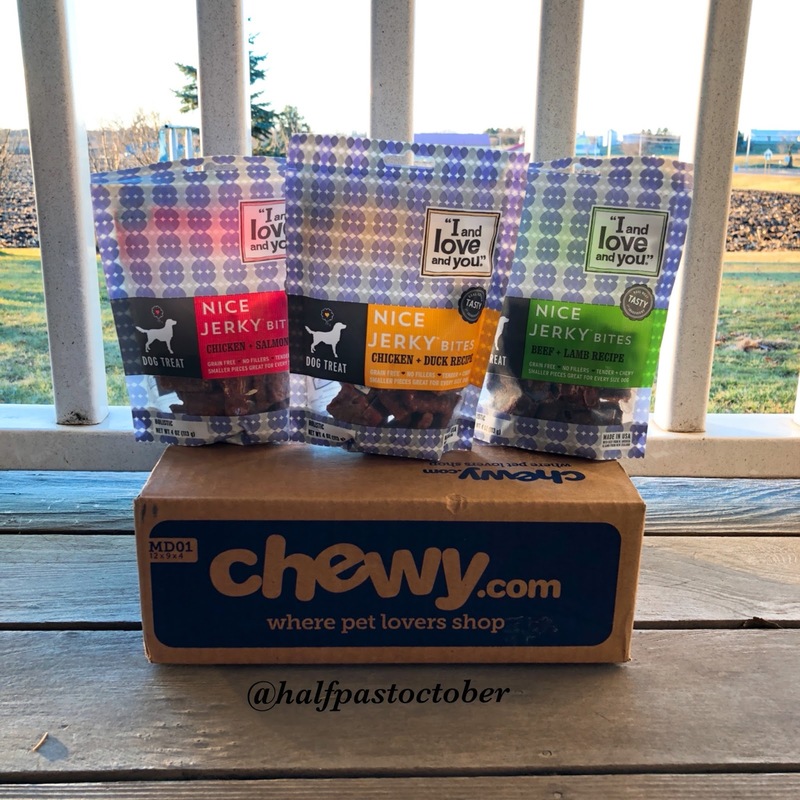 All three are grain free, contain no fillers, are soft and chewy, and easy to tear apart into smaller pieces if need be. Each variety also have two meat sources as the first two ingredients! Venus and I both noticed immediately after opening a bag, that these treats smell like real meat. They have a sweet and delicious jerky smell that was even tempting to me - until I remember I was holding dog treats! 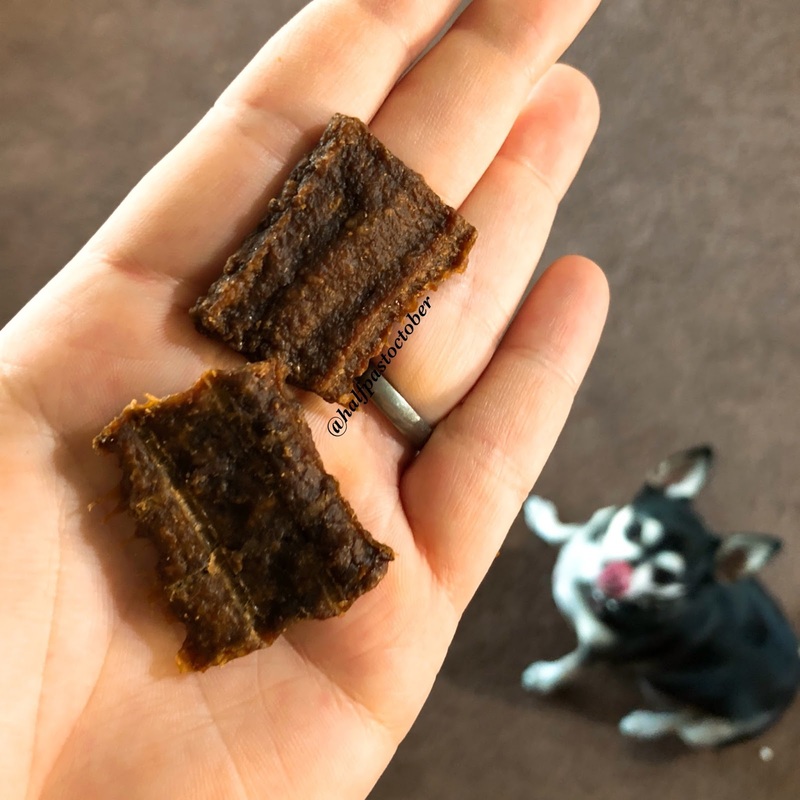 Venus absolutely loves all three flavors of these Jerky Bites - great job I and Love and You! 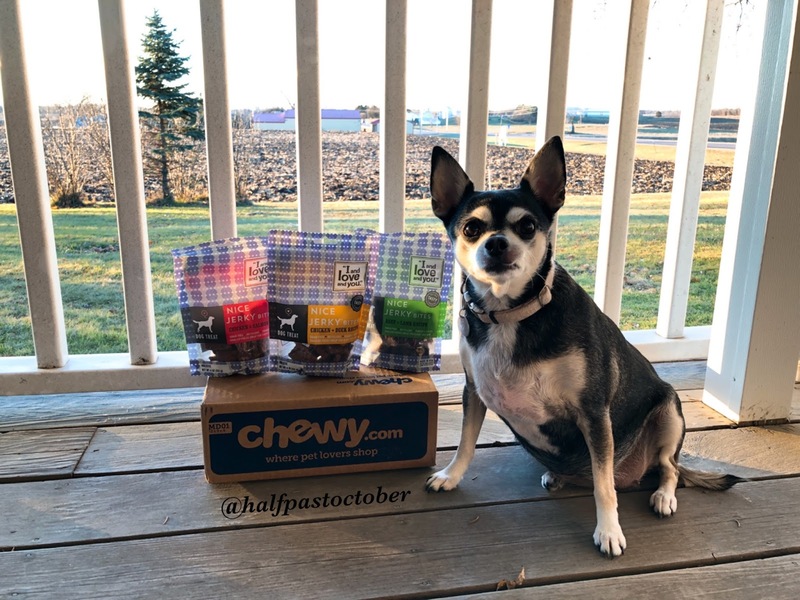 And a huge thank you to Chewy.com for sending us such a great product once again.